This is such an awesome way to serve many people – and many think it is just a fairground food. Think of it as a quick serve to a large group of people with little clean up. 1: Slit bag along the side to completely open it. 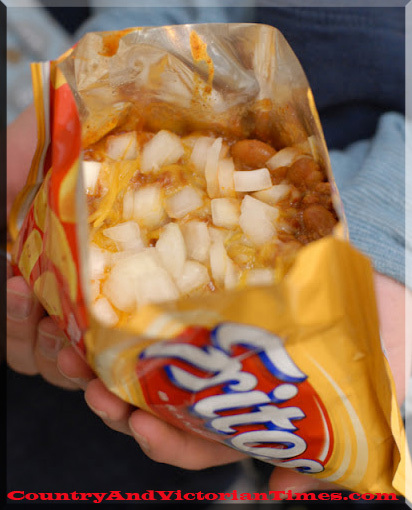 This entry was posted in Recipes, ~Food, ~Holiday, ~Lunch, ~Party and tagged Beef mince, cheese, cook, Frito, frito's, in a bag, italian, mexican, onion, ruffles, taco, taco's, ~Home. Bookmark the permalink.